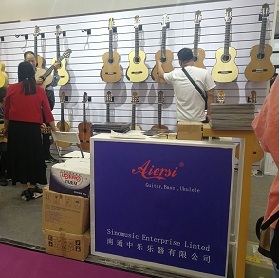 Choose Aiersi brand guitar , enjoy happiness with your families ! I got this guitar a week ago. Its a perfect instrument for stage, so loud and easy to play. Too loud for use in a small room. It sings very well, the voicing is perfect. 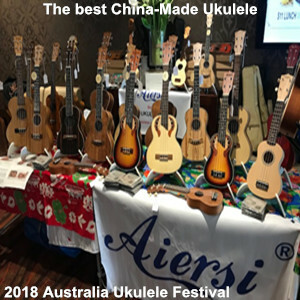 Thank you Master Youlong for making this great Instrument. Ms. Angella gave me good advice. Do what she tells you, and you will be good. I love this guitar, thanks for the input but how do I pay for it? I got my guitar yesterday.A very fine instrument! The craftsmanship in this model is as good as any very expensive model made somewhere else. 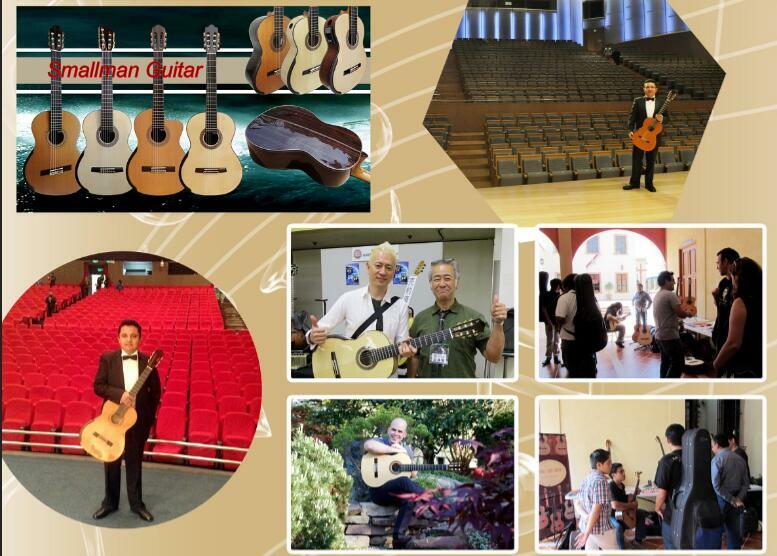 The quality of the sound is very loud and clear.Thank you to craft a beautiful and fine guitar Mr. Youlong. Angella, Thank you for your help on my order. I received this guitar two days ago in Montana USA via air express, a little more than a week after I’d ordered it from the always-helpful Angella. It is fantastic. First of all, its appearance is exquisite. 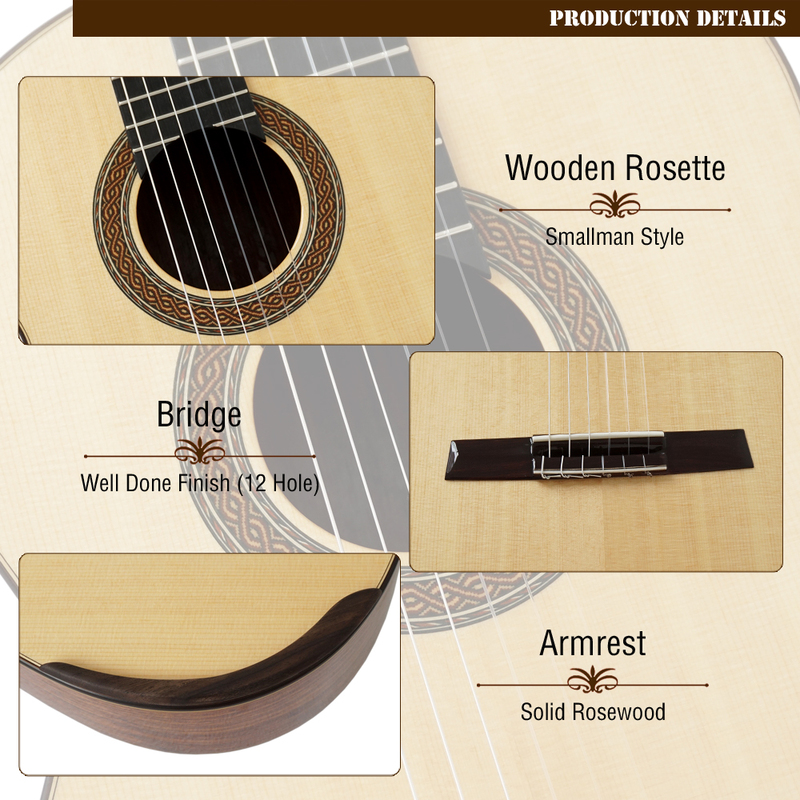 The Mexican rosewood is drop-dead gorgeous, and contrasts beautifully with the maple binding. 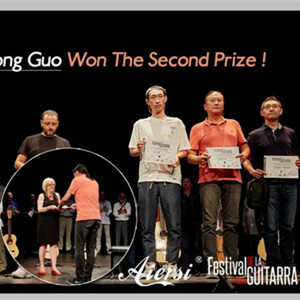 The finish quality is better than with instruments by famed Spanish luthiers – and I have owned high-end classical and flamenco guitars, so I know. The 2017 Smallman model has a matte finish which I am liking a lot, and it is both thin and perfect. Leaving aesthetics aside, this guitar is so loud one might think it is electric. The sound clarity and projection are amazing, almost unworldly. It is hard to put this guitar down. 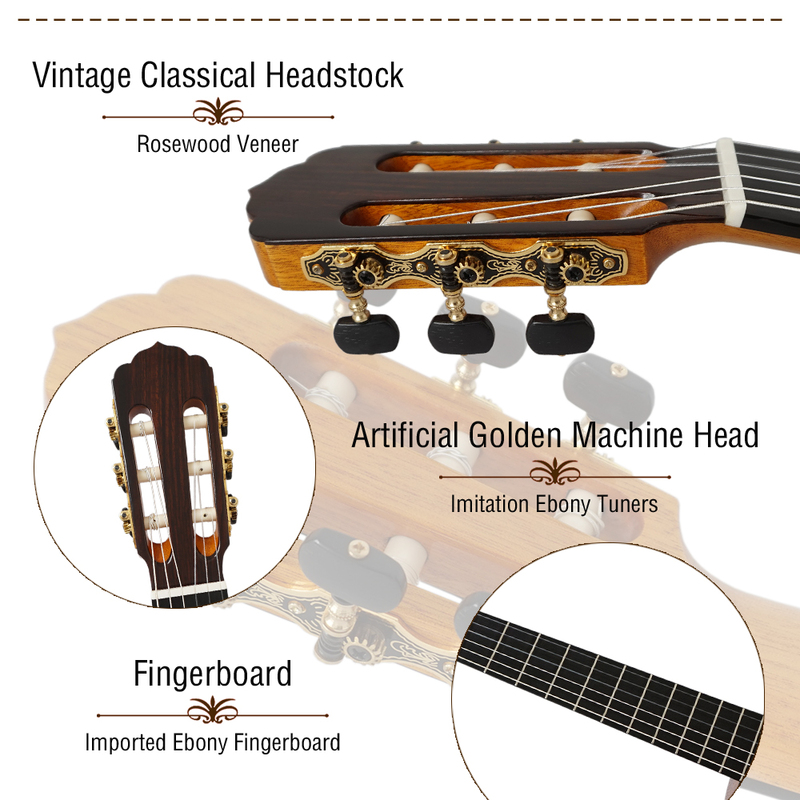 I bought the spruce top because I personally like the sound of spruce but have never been previously satisfied with the playability of fine, Torres-braced spruce guitars, including a Manuel Velazquez and a Manuel Contreras (among others). With the arrival of this lattice-braced 2017 Smallman by built by Mr. Yulong Guo himself, that has all changed. This is the best sounding and most playable spruce top classical I have ever had in my hands. Aiersi are offering true masterpieces with this model. 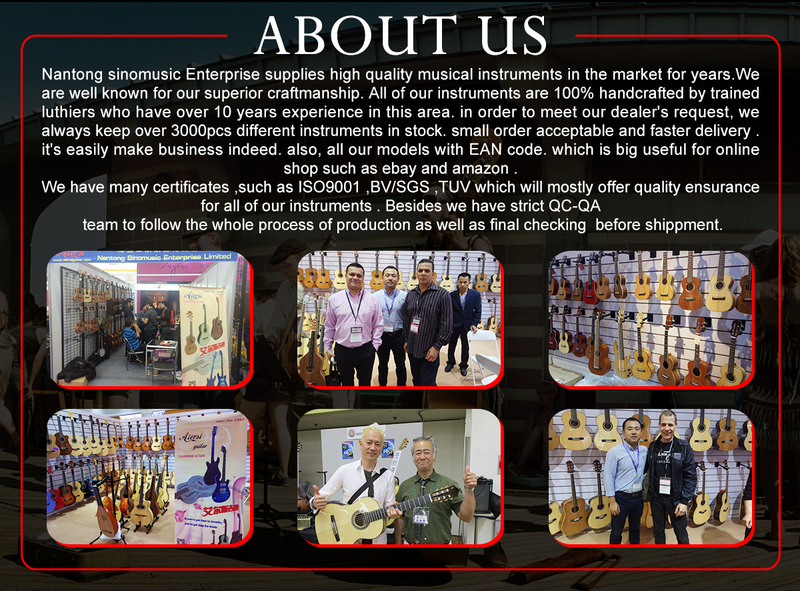 Do not wait another day – seize the opportunity immediately and order one of these brilliant guitars, whether spruce or cedar; and whether your plan is to play it on tour or keep it as an investment. 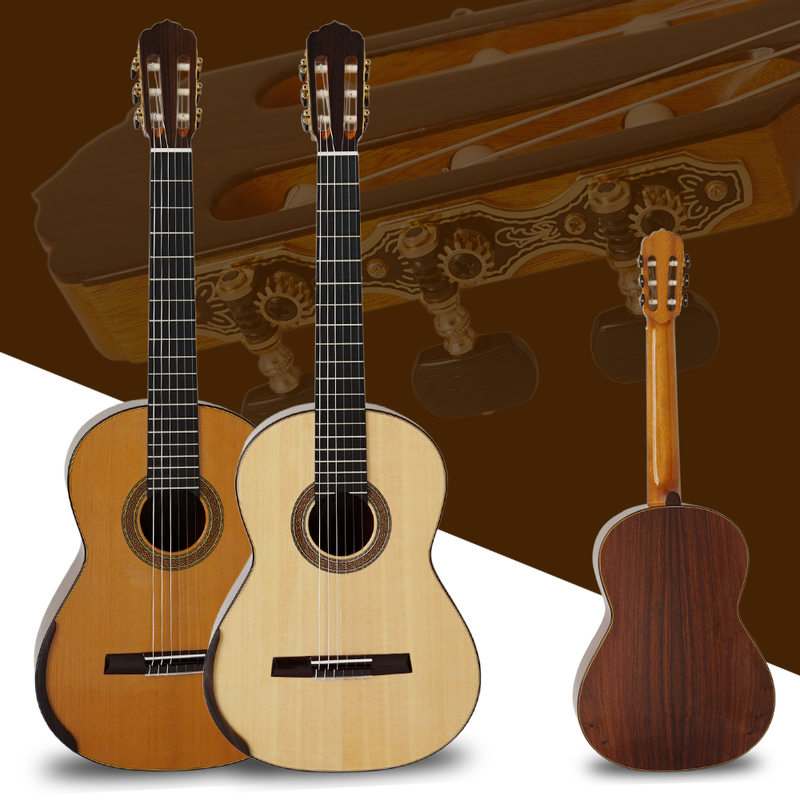 This is the classical guitar bargain of the century.